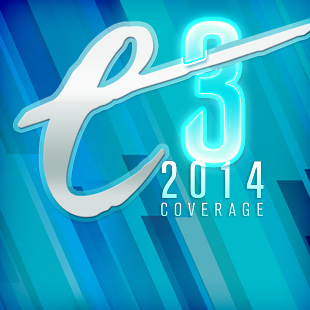 Another E3 has come and gone, and with it tons of announcements of brand new games and upcoming sequels. Some of the offerings this year were so impressive, we even went out onto the show floor and gave our favorite games fancy awards. But, you know, while a "Best of E3" award may sound special, we think there's a few games out there that deserve a little extra recognition in their own, unique category. So, without further ado, here's the completely unofficial Escapist awards, highlighting some of the best of the best of E3 2014. Paul Says: I think I have a problem. Ever since I assembled our Sony Press Conference Recap, and first watched the announcement trailer for the new, colorful, and much more zany looking Dead Island 2, I cannot get this freaking song out of my head. Seriously! Dammit. I hate you Deep Silver! Paul Says: I sadly missed out my chance to experience the horrors of Alien: Isolation on the Oculus Rift like many of my other game journalist peers, but I did get to log a short play session on the Xbox One while checking out Microsoft's booth on the E3 show floor. And even though I was in a mostly well lit room with plenty of people around me, this game was incredibly unsettling and is definitely a horror game through and through. Creative Assembly really has done a fantastic job of creating a claustrophobic environment that feels like it's straight out of the classic film, and have also created a terrifyingly tough enemy to deal with. 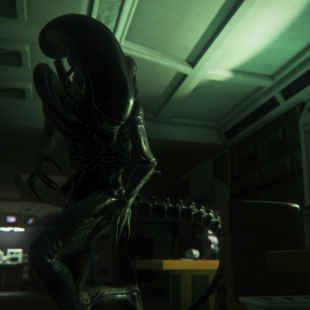 Even with a motion tracker giving me a few sparse seconds of warning, I died so many times trying to get to safety, and even just catching a glimpse of the Xenomorph's tail as it rounded a corner almost nonchalantly was enough to send me scurrying for cover. I'd also want to give props to Creative Assembly for the red herring they put in the demo in the form of a flamethrower. I get that you're not really supposed to kill the Xenomorph and the flamethrower is meant to scare it off, but sure it looks like an intimidating piece of hardware and I sure felt better when I was waving it around. However, when I first pulled the trigger, spitting out a short but intense gout of flame at my antagonist, I swear the Xenomorph looked at me, turned away, and then walked calmly into a nearby air vent, as if to say "Nah, I'll eat his face later." Which it did, two minutes later. Quite gruesomely, I imagine. I kind of shut my eyes at that point. Josh Says: After two dizzying VR demos earlier in the week, I went so far as to avoid eating for several hours prior to my appointment to see EVE: Valkyrie on Project Morpheus. I sat down and donned the headset, ready for the worst, but after a few minutes in the cockpit, I removed the headset, and was stunned by the complete lack of queasiness. It was so remarkably not-dizzying that it was almost disorienting. Paul Says: Okay, if after watching this trailer for The Division, you don't feel a twinge of sadness at watching an invisible family fall apart during a horrible tragedy, you might want to check that you have a pulse. Cause that's some wicked macabre stuff, man, and looks like The Division wants to put you right into the forefront of it. And yes, okay, I'll admit that this trailer does turn up the drama to tug those heart strings, and after all, the game is more or less an open-world shooter with some MMO elements, but you know what? It worked for me. I was already looking forward to playing The Division since it was first announced last year, and this cinematic trailer certainly has me eager to see what kind of story it may bring to the table.